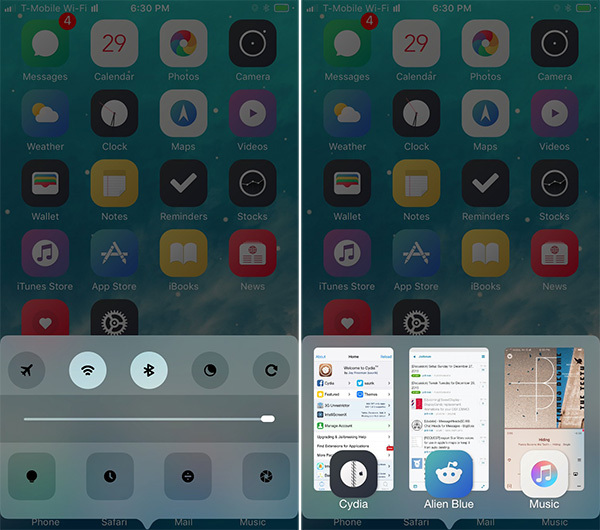 As far as jailbreak tweaks go, we think that Apple’s Control Centre has spawned more than its fair share. With a considerable number of tweaks that take Control Center and then rethink, reshape and even replace what it is capable of as standard on all iPhones and iPads. 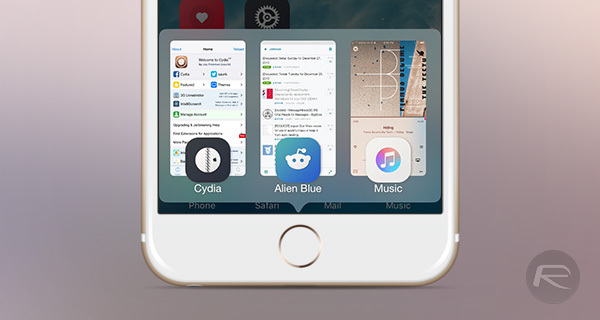 Cydia isn’t short of options for the budding jailbreak tweak fan to install. One of those that everyone should probably check out is Eucnide, and it’s available to download now from the BigBoss repo. It’s not free – it’ll set you back $1.99 – but that’s a small price to pay for the changes that Eucnide can make to Control Center. 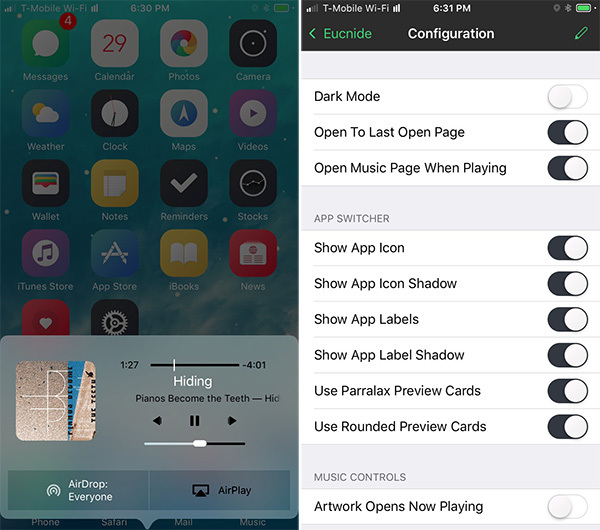 At its core, Eucnide rejigs what the standard Control Center interface looks like, and can even honor changes that tweaks like FlipControlCenter, Polus, and to some extent Auxo LE make. That means those wanting to add additional buttons to Control Center can do just that and still use Eucnide as well, which is great, because Eucnide does more than just change the way Control Center looks – it improves its functionality, too. Eucnide does that by allowing users to swipe up on the already visible Control Center in order to reveal a new app switcher complete with app previews. Double tapping apps kills them, and tapping them, obviously, re-opens them. It’s normal task switcher fare, but it looks gorgeous and fits in with the way Eucnide looks and behaves. Swiping upwards once more will reveal a music control pane, giving users instant access to the media controls that they are likely to need in a pinch – play, pause, skip etc. are all there just as you might expect. When you install Eucnide, there are plenty of options to thumb through if you want to customize the tweak just so, and at a couple of dollars, we suggest giving Eucnide a try and then seeing what settings are hidden within. If you’re as keen to customize as we are, then Eucnide will take the existing Control Center and app switcher components of iOS and make them altogether more interesting. Give it a try; you’re unlikely to regret it. As mentioned earlier, you can get Eucnide from the BigBoss repository on Cydia.